The Royal Society of Edinburgh, Scotland’s National Academy is an educational charity that provides public benefit throughout Scotland through a diverse range of activity including awarding research funding, informing public policy and delivering events across Scotland to inspire knowledge and learning. 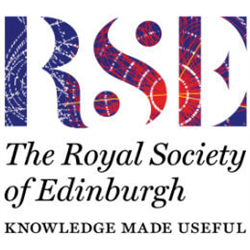 The Royal Society of Edinburgh, Scotland’s National Academy, is an educational charity that provides public benefit throughout Scotland through a diverse range of activity including awarding research funding, informing public policy and delivering events across Scotland to inspire knowledge and learning. The RSE is on a journey of change to enhance its impact and reach and has an exciting opportunity for a digital communications officer to support the development and lead the delivery of the RSE’s digital communications activities. The successful candidate will have relevant experience of working in a communications role or supporting communications activities, excellent written and oral communication skills to engage with people in a creative and interactive way, and digital editing software experience.